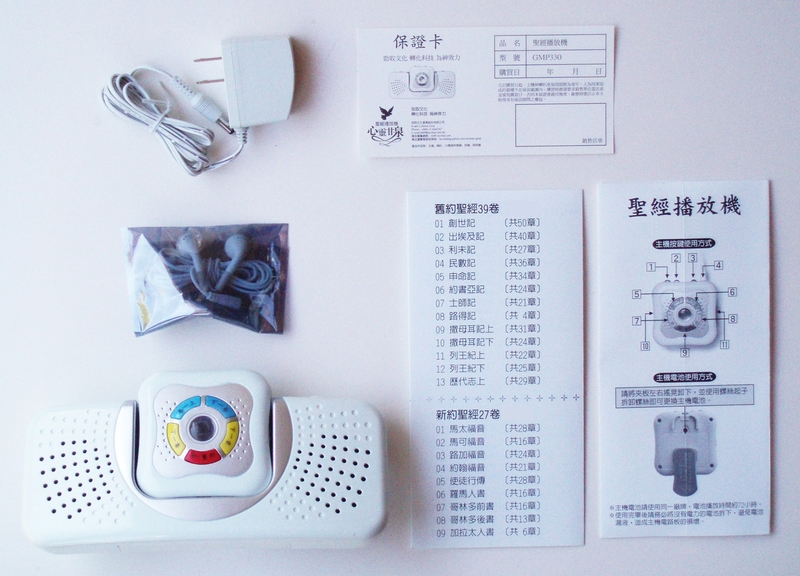 Portable Chinese Christian Bible Audio Player in Mandarin NEW!! 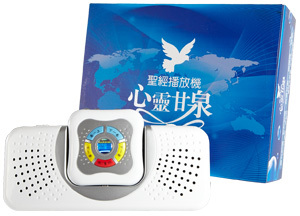 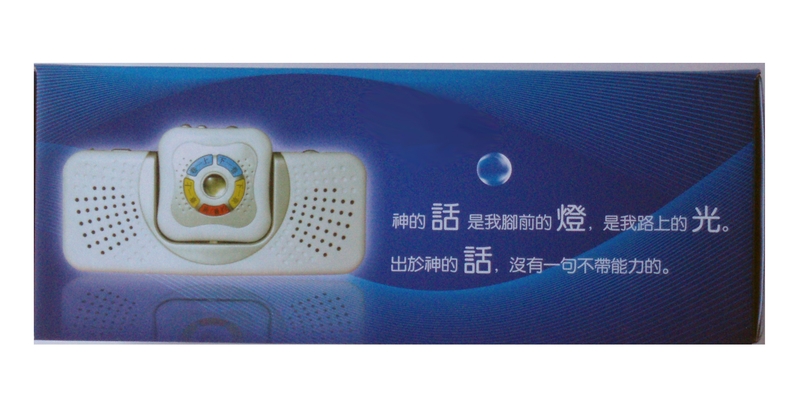 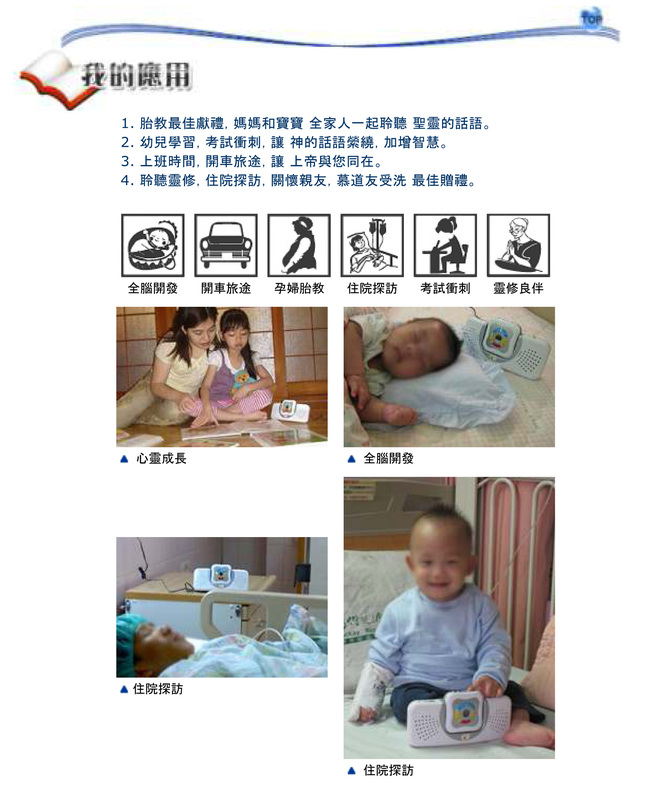 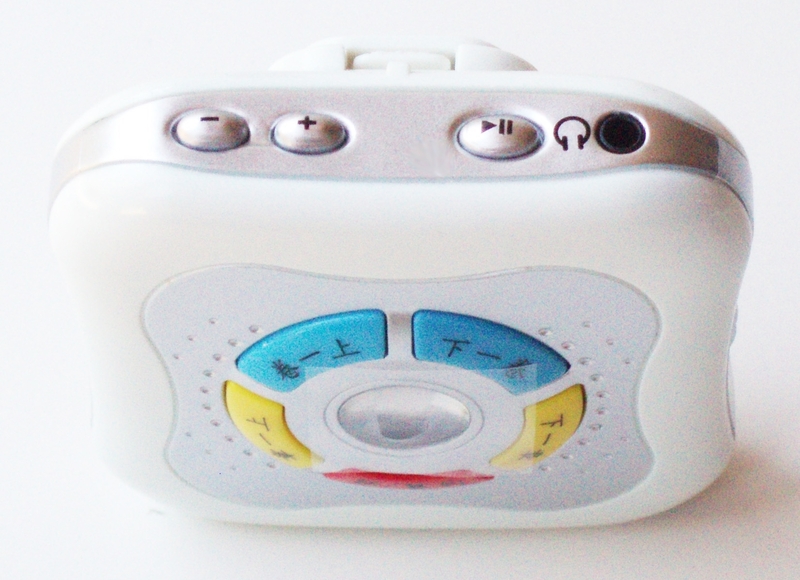 This is a brand new portable Christian audio bible player in Mandarin . 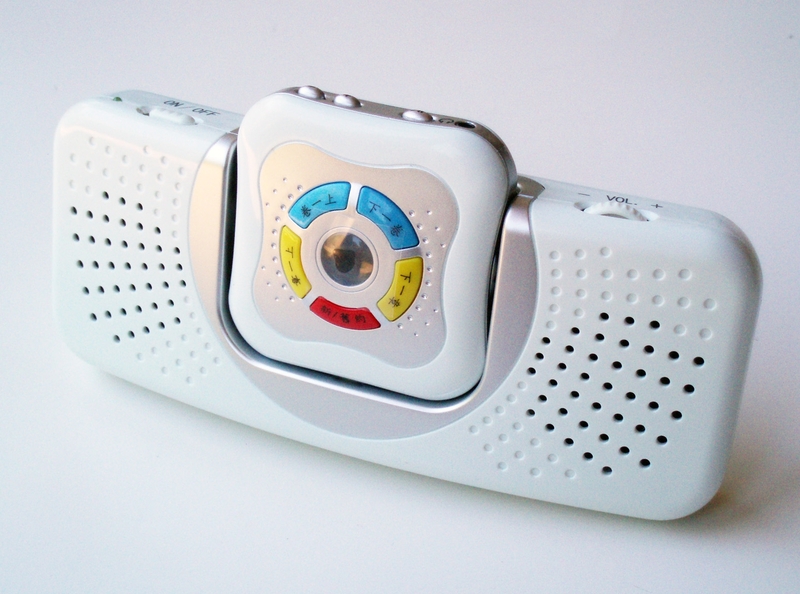 It is a hi-tech innovation with high quality audio integrated in a palm size player. 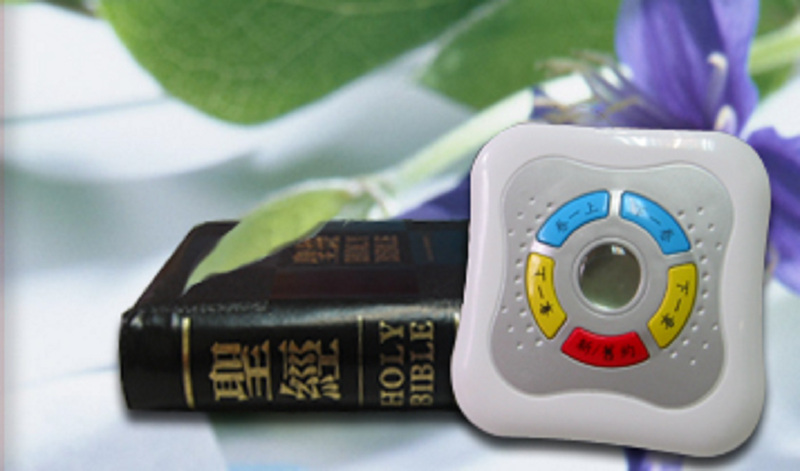 This device helps Christians to stay close to God's words everywhere they go. 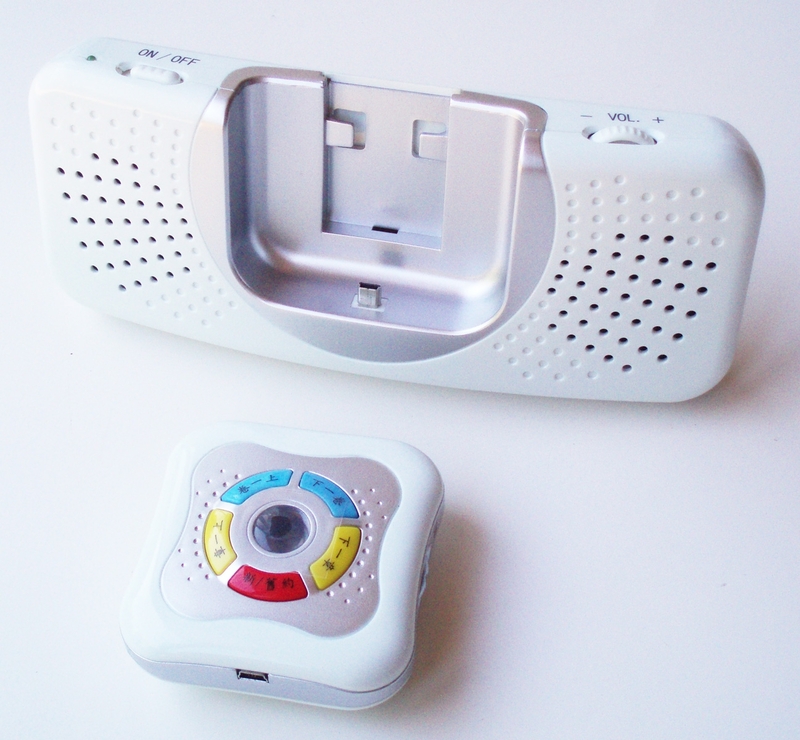 This item also comes with a docking station which allows the device to play through the external speakers (as shown in the photos) and to be powered through an AC adapter. 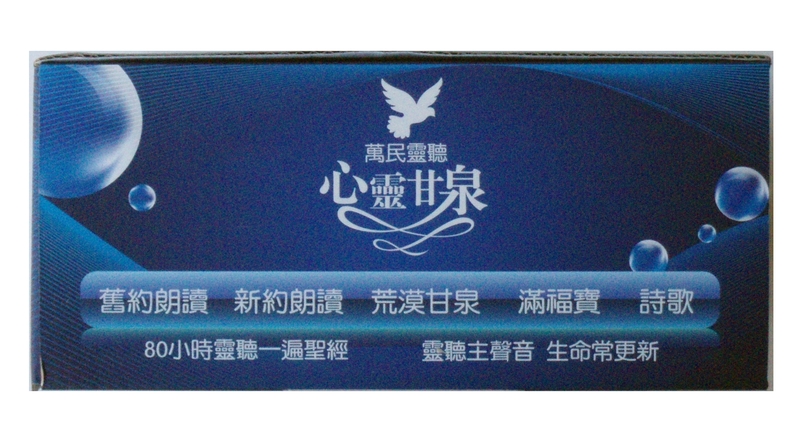 The docking station with speakers is also portable which is powered by 4x AAA batteries.